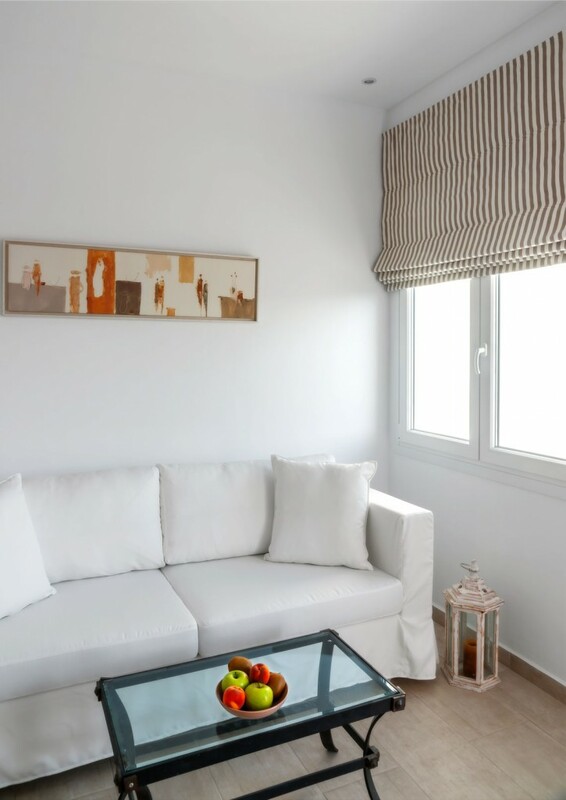 Modern decor, comfortable spaces and carefully selected furniture compose an ideal hospitality setting. 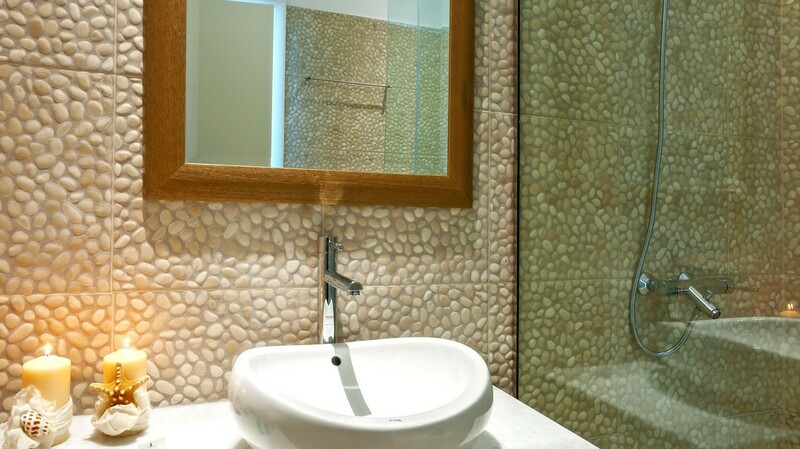 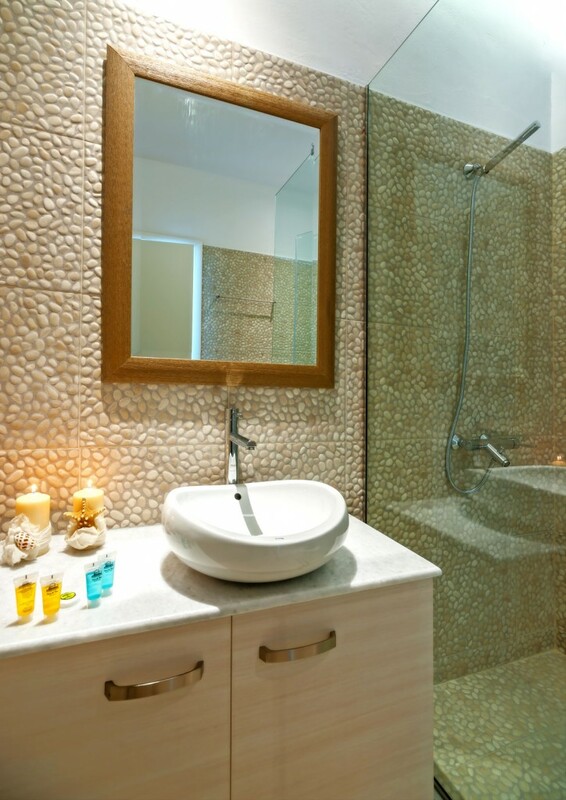 Unique decorative elements interwoven with the space and the island adorn the walls of all rooms. 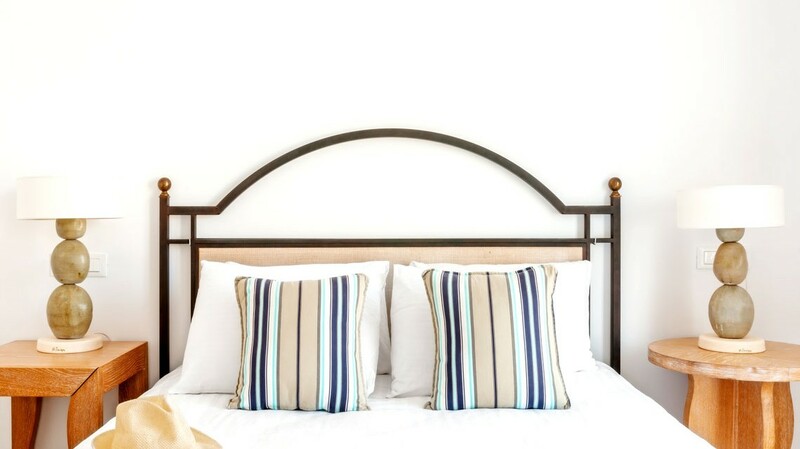 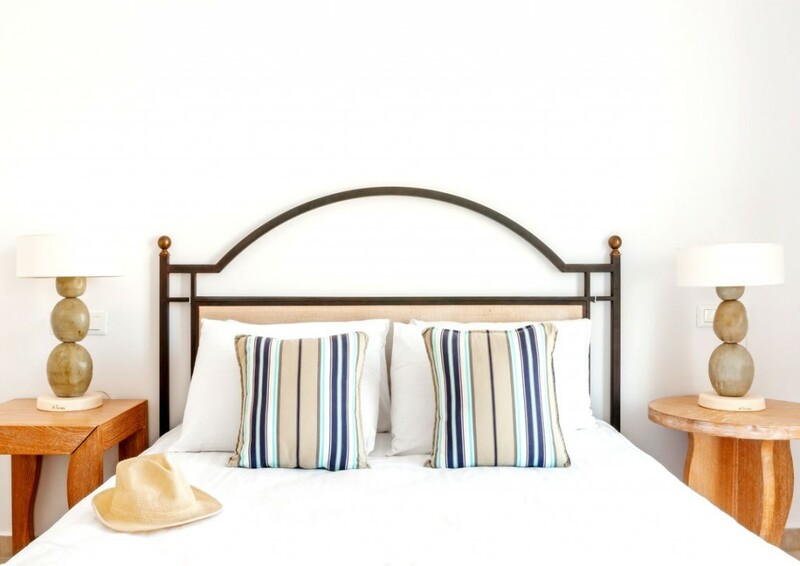 Comfortable beds and beautiful furnishings create a sense of home without straying from the simplicity the hotel exudes. 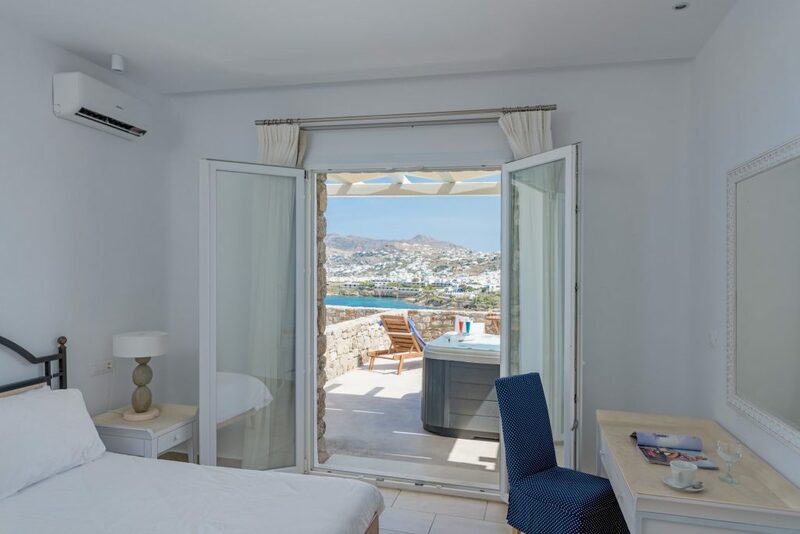 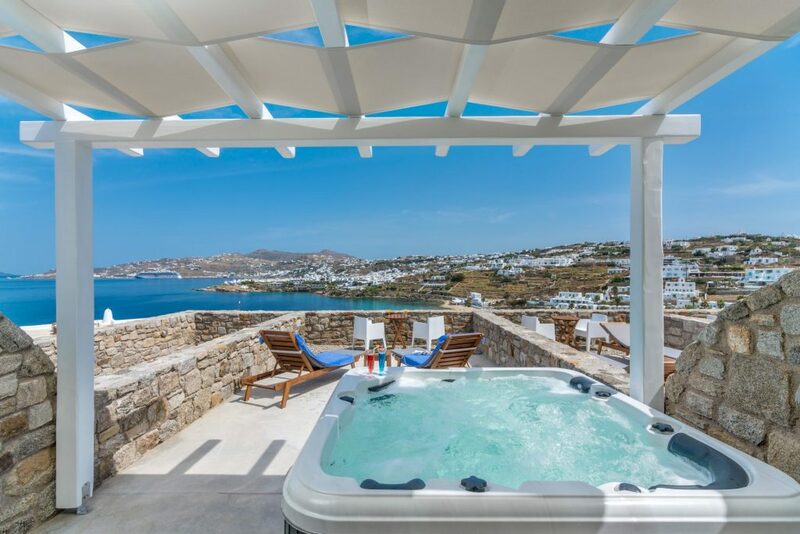 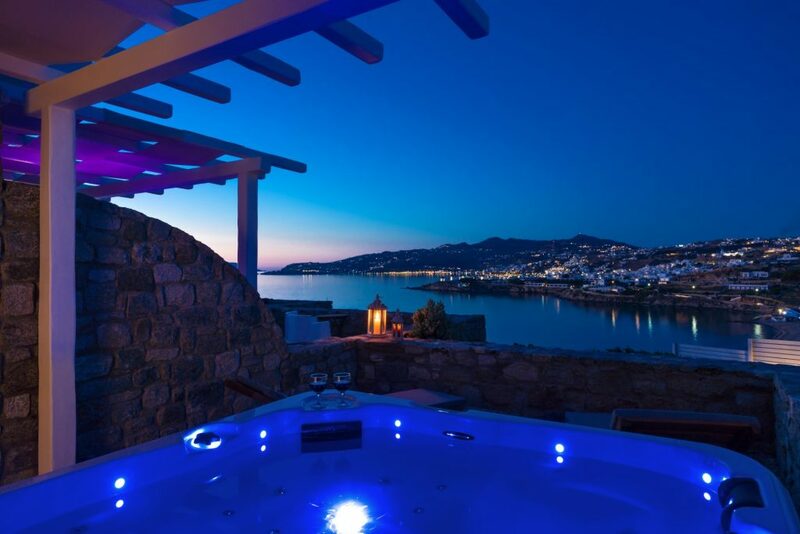 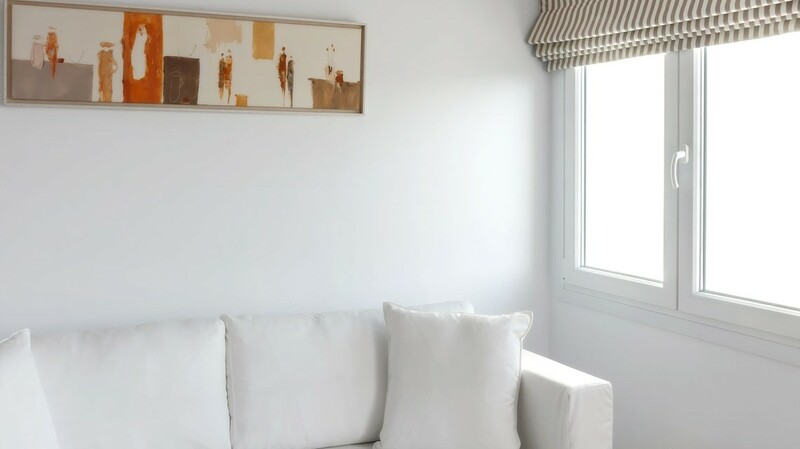 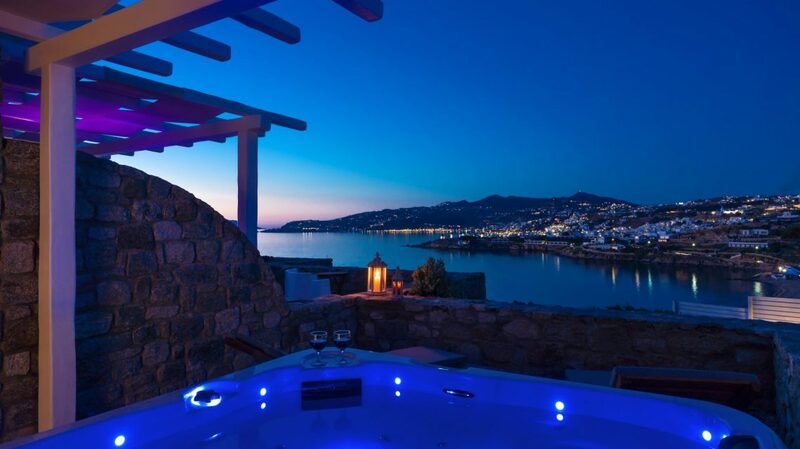 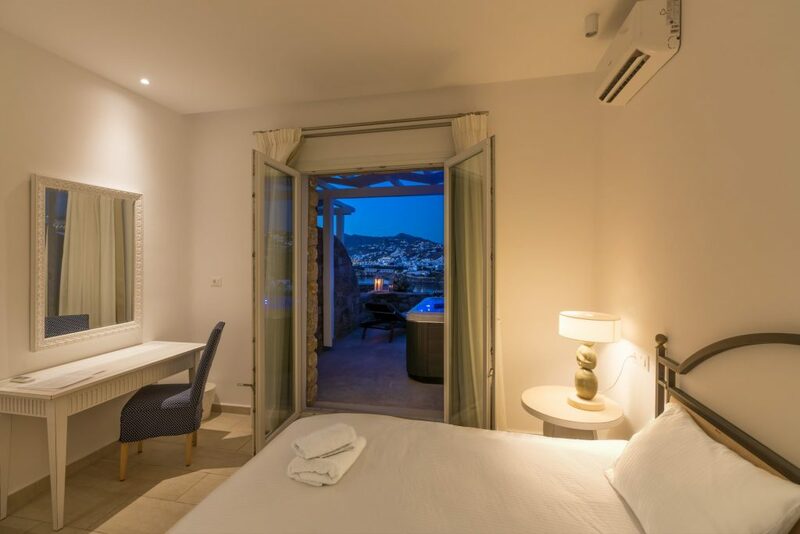 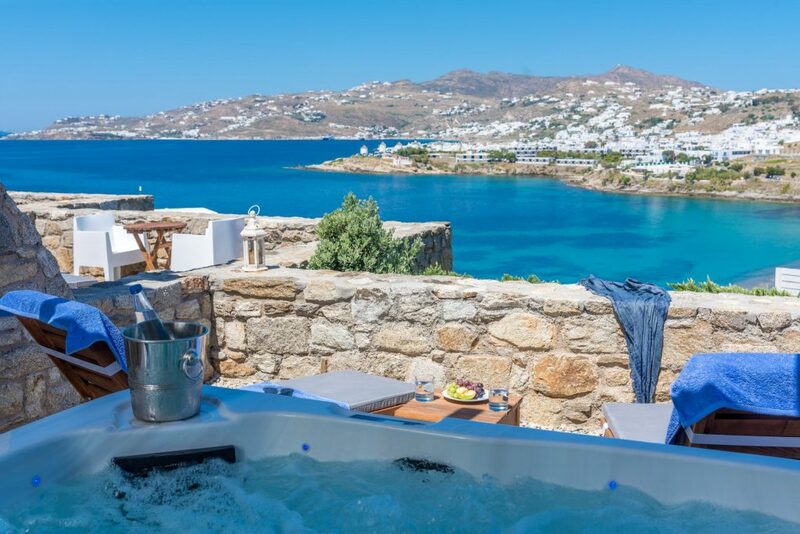 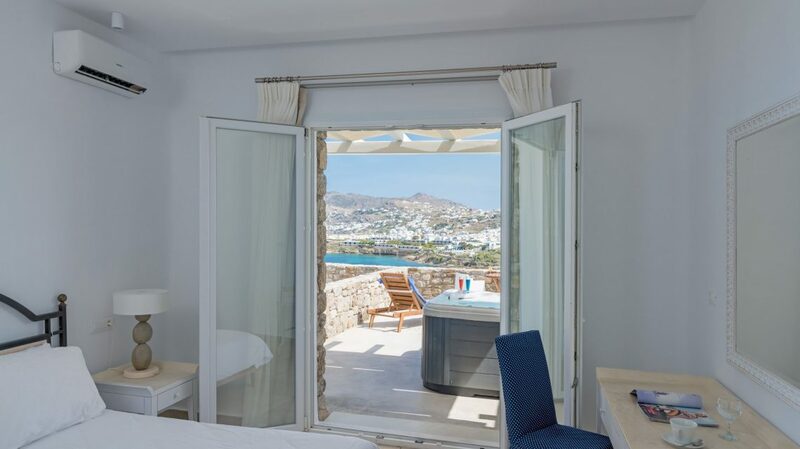 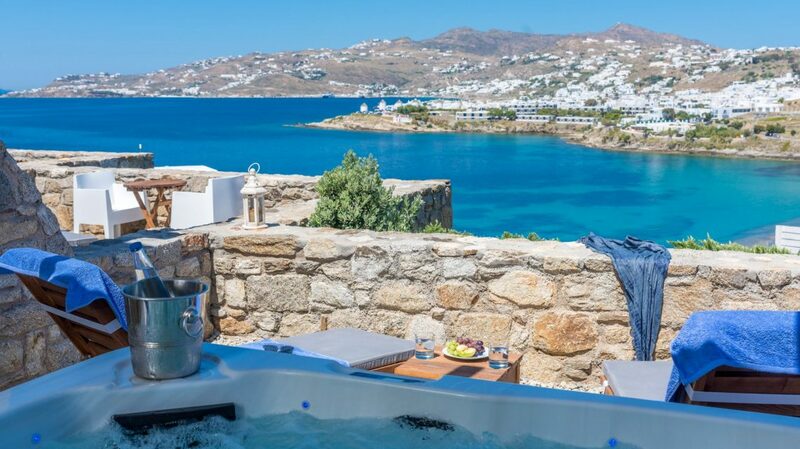 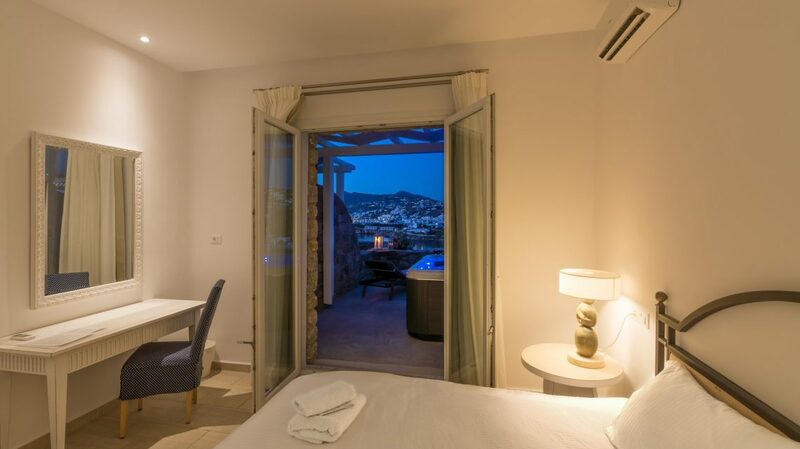 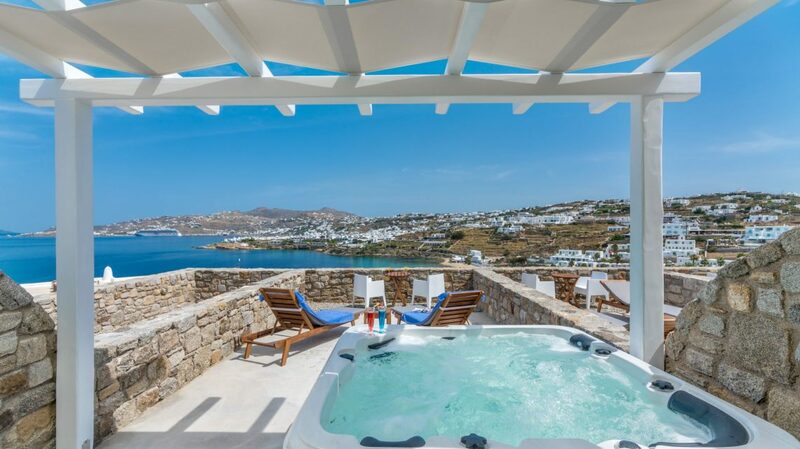 Enjoy views of the deep blue sea and Mykonos Town from the comfort of your bed. 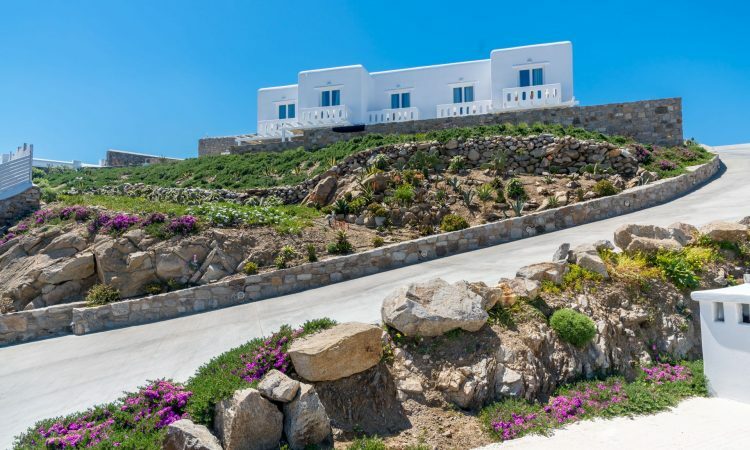 Carefully selected services make Cape Mykonos an ideal holiday destination. 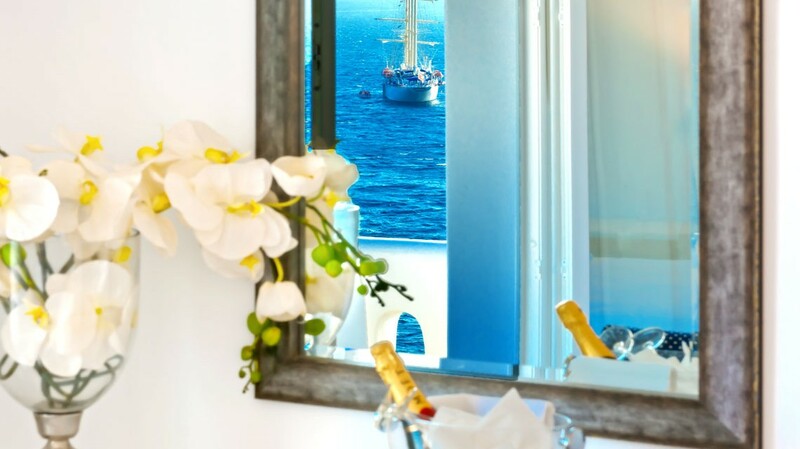 The luxurious facilities, in combination with services tailor-made to fulfill every guests’ needs, surpass all expectations. 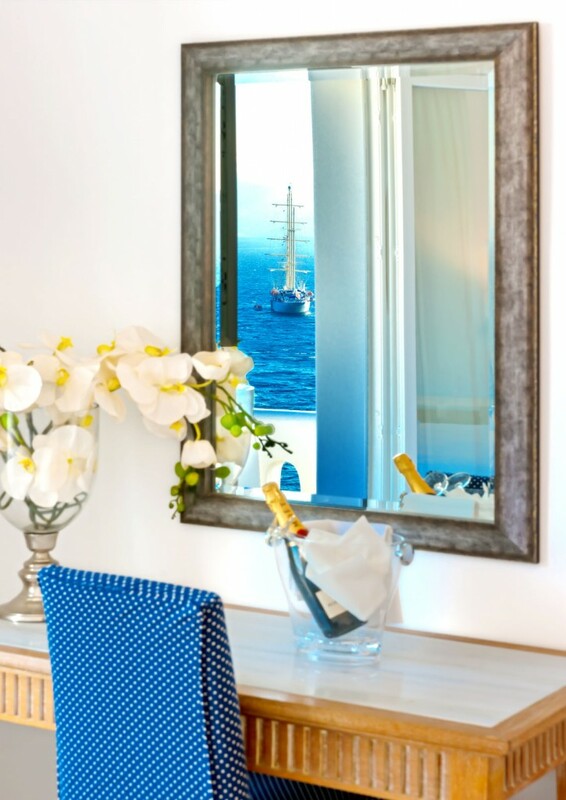 Discreet elegance coupled by exceptional service make Cape Mykonos a very stimulating choice for your holidays.